If you’re lacking in energy, try carb loading. This is also an effective measure in the days leading up to labor. Your baby will be able to recall and recognize the frequency and pattern of the most familiar sounds he hears within the uterus—your voice. Also, you might have noticed that loud noises may startle your baby during these final weeks. The idea behind carb loading comes from endurance athletes, who get 70 percent of their calorie intake from carbohydrates for three days prior to a big event. This enhances muscle uptake of fuel so that muscles are fully loaded with glycogen, the form in which carbs are stored in the body. If you’re feeling tired, and especially prior to being active, ensure you take on plenty of carbohydrates. In the days before your due date, base meals on carbohydrates, so that this food group provides up to 70 percent of your total calories. Include cereal or bread for breakfast, sandwiches for lunch, and include pasta, rice, or potatoes at dinner. 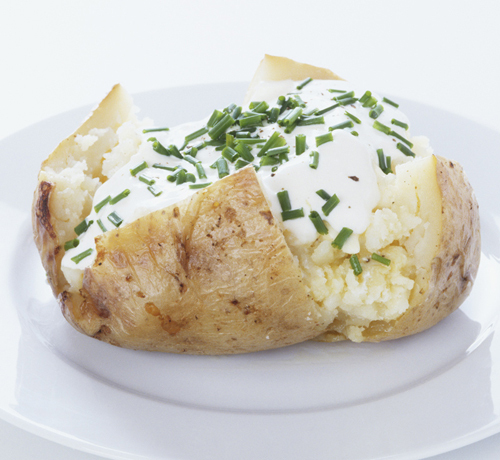 A baked potato is a great mini-meal, providing you with carbohydrates. Try different carbohydrate foods in the lead-up to labor to see which you like best. Maternity leave offers a great opportunity to prepare yourself for the birth of your baby. Take time to rest. While it may seem like the optimum time to rush through a long “to-do” list, it’s important to conserve your energy for the birth, and the weeks afterward. Prepare your hospital bag (see Items for your hospital bag), or anything you may need for a home birth (see … Doctor). Make a list of everyone you’d like contacted after the birth. Put together some natural remedies to help you through labor and its aftermath. Lavender oil can be sniffed during labor to relax and calm. You may need ice packs if you end up having an episiotomy (placing ice pads or chilled witch hazel pads on the area may soothe your pain). Ask your doctor about safe pain medications for after delivery, or, if you want to avoid medications, ask him or her for drug-free suggestions. Prepare a few freezer meals. There can be nothing better than having an already prepared, healthy meal on hand that can be taken right from the freezer when your arms are full with your new baby, and you lack the time and energy to get dinner on the table. Sort your baby’s new clothes into sizes, so you don’t find yourself searching through piles to find something that fits. Get ahead by preparing your birth announcements—address and stamp envelopes, or design something that can be sent via email, so that you only need to slot in your new baby’s photo and details at the last moment. Get a manicure, pedicure, or massage. Not only will time be tight after your baby arrives, but money may be, too! Take the opportunity to lift your spirits and feel your best. Produce something creative—paint your baby’s nursery, cross-stitch a little pillow or picture, make a crib bumper, start a scrapbook, or simply write a letter to your baby to put in a keepsake box. These personal touches are satisfying, and will be treasured for years to come. Catch up with friends and family for lunch. It may be some time before you feel like going out again once you’re getting used to being a parent and enjoying your new baby in the comfort of your home. Your baby is now able to hear many sounds that will all be familiar to him once he’s born. 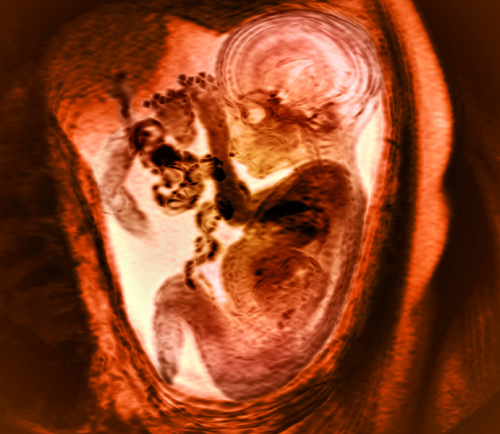 This baby is lying in the breech position, with the umbilical cord seen as is travels toward the placenta in the top left-hand side of the image. Approximately 3 in every 100 babies will be in a breech position after 37 weeks. In this late stage of pregnancy, sounds penetrate the uterus easily and there is no doubt that the baby can hear and respond to these before birth. Your baby will startle at loud sounds but now also turn toward familiar sounds, and practice looking for the source of the sound. Your baby is not only recognizing a wider range of sound frequencies, but also discriminating between different sounds as well as learning and remembering familiar sounds, such as your voice and that of your partner. Your baby breathes more quickly when he’s concentrating on sounds and his heart rate increases. Although the baby can hear at birth, the ear drum continues to thin out, at the same time becoming more mobile and responsive to sounds. 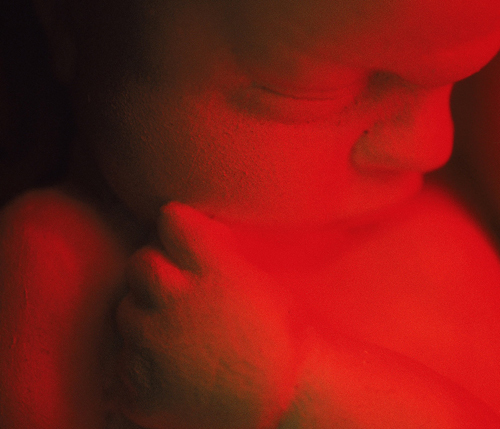 Your voice will be the most familiar sound to your baby at birth. It won’t be long until you meet your baby. Meanwhile, talk to him. He’ll recognize your voice—and your partner’s—once he’s born. Q: What if I can’t breast-feed? A: It’s normal to have doubts but be reassured that most women have enough milk, and with some help with positioning the baby can breast-feed without any problems. By this stage, you may even be leaking colostrum (see On leakages). Try to keep an open mind and remember that the breast milk does not come in straight after the birth . Even if you have problems, try to persevere and don’t feel pressured to give up just because it’s convenient for the hospital staff or your partner, or because a friend or family member tells you it’s not necessary. Even if you don’t end up breast-feeding, you can still get close to your baby by bottle-feeding. You aren’t alone if you’re a dad-to-be who’s feeling a bit bewildered and shell-shocked by the imminent arrival of your baby. To begin with, you can expect a lot of changes at home. Once your partner starts maternity leave, she may start a whirlwind of activity in preparation for the new arrival, and will need your help to get everything ready. While supporting your partner both practically and emotionally will be important in the coming weeks, take care of yourself, too. Take every opportunity to get some rest. Even if you’ve agreed that your partner will do the majority of the nighttime baby care, your sleep will still be disrupted in the weeks after the birth. Catch up with friends now, but not to the point where you tire yourself out, and keep up your exercise routine, if you have one. It’s normal to feel anxious about what’s ahead—both being a birth partner and a dad—but be reassured that somehow everything will fall into place. Focus on the thought of holding your newborn baby.